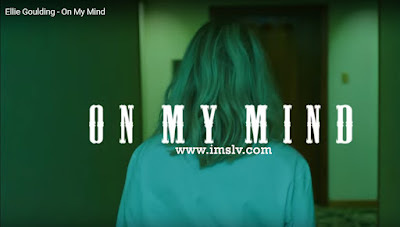 Read Brand New Song On My Mind Lyrics and Watch Official On My Mind Video featuring Ellie Goulding from the album "DELIRIUM". It's a little dirty how the whole thing started.. I don't even really know what you intended? Thought that you were cute & you could make me jealous.. So I poured it down..
You wanted my heart but I just liked your tattoos..
And now I don't understand it..
You don't mess with love, You mess with the truth..
And I know I shouldn't say it.. But my heart don't understand.. I always hear, always hear them talking..
Talking about a girl, about a girl with my name..
Saying that I hurt you but I still don't get it..
You didn't love me, no, not really.. I'll bet, I'll bet that's why I keep on thinking about you.. It's a shame (shame), you said I was good..
You think you know somebody..
You got yourself in a dangerous zone.. Cause we both have the fear, fear of being alone..
And I still don't understand it..